One of the most popular festivals in the Philippines is the Panagbenga festival that is celebrated in Baguio City. The festival is now in its 24th year and has started this February 1 and will end this March 10. “Panagbenga” is a Kankanaey (South-Central Cordilleran language) word that means “season of blooming”. Panagbenga was done in 1996 as a recovery measure caused by an earthquake which shook the Northern Luzon region in 1990 Since then, the colorful festival continued attracting not only the locals but also tourists every year. This event is the most attended festival in the Philippines and has the largest media coverage among the other festivals of the Philippines. 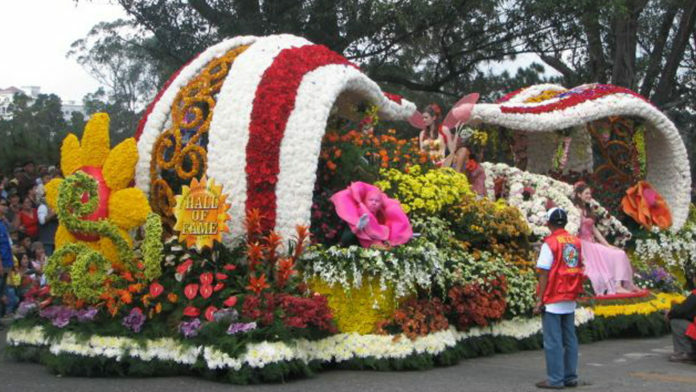 The highlights of the flower festival would be the Street Dance Parade, which is scheduled in March 2, and the Grand Float Parade that will showcase different floats decorated and covered with different flowers, scheduled in March 3.